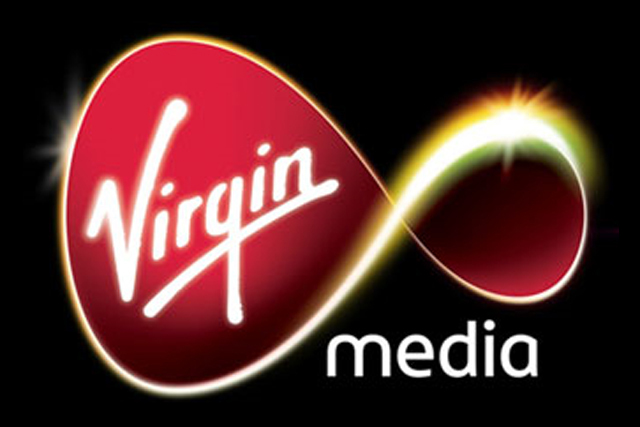 Virgin Media has increased its annual revenue by 5.8% to £3.8bn and described 2010 as its "best ever" financial year. The quad-play (TV, internet, mobile and fixed line telecoms) company also said its fourth quarter revenue has exceeded £1bn for the first time, representing a 6.6% hike year-on-year. Average revenue per user climbed 4.9% to a record £47.51. However, the amount of new consumers signing up for its TV service dropped to 12,100 in the fourth quarter down from 34,200 in the same period in 2009 with the total number of subscribers now reaching 3.78 million. The service passed the four million cable broadband customer milestone in Q4, overtaking TalkTalk to become the second largest internet service provider (ISP) in the UK. Virgin Media's broadband customer base increased by 173,300 in 2010 up 41,300 during the fourth quarter with a 40% increase in number of customers subscribing to its superfast (20mb) service. Its 50Mb customers also tripled over the year to more than 118,000. Those signing up to Virgin Media's high definition service increased by 600,000 during 2010, with 1.5 million households in the UK now receiving the service (up by 91,900 in the forth quarter). Online, Virgin Media's video on demand service had more than 900 million requests during the year. In its mobile phone division, contract customers grew 27.5% to 1.2 million. Revenue from the mobile division grew 6.7% in the fourth quarter to £148.3m. New initiatives include the Virgin Media Powered by TiVo service, which began its roll-out from mid-December last year and already has 50,000 registrations. The system comes at a standard price of £199 plus £26.50 per month for the XL TiVo package which features over 160 channels. Neil Berkett, chief executive officer at Virgin Media, said: "A strong financial performance combined with the launch of a number of market leading product developments ensured 2010 was a year of great achievement for Virgin Media. "We have driven our consumer division to its highest ever rate of revenue growth, maintained robust cost control and delivered our best ever financial year." "In the year ahead our new TV service, powered by TiVo, will provide a real step change in home entertainment as customers benefit from the unique power of the Virgin Media network. "Together with the rollout of our ultrafast 100Mb broadband, across our growing cable infrastructure, we will further accelerate our lead in next generation services and meet the ever growing demand for greater connectivity." Virgin Media's net debt stood at £5.5bn as at 31 December.